Kim, an extraordinarily gifted producer, composer, arranger, keyboardist, vocalist, vocal coach, and engineer, received a degree in music from Howard University. Upon graduation, Kim toured around the world for twelve years with poet and jazz legend Gil Scott Heron, receiving international acclaim for her live performances from publications such as The London Guardian, The San Francisco Examiner, The Chicago Tribune, The Washington Post, The Dallas Morning News, and Billboard Magazine. Kim is the first signed artist with Washington, D.C.-based record company, ProSounity Music Entertainment (?ProSounity?). Her first release on ProSounity was ?All For You.? Kim, who has over 25 years in the music industry, is on the cutting-edge of the emergence of a new genre of music -- gospel jazz. Kim serves as executive producer and producer for her sophomore project, ?Full Circle,? as well as composer of all of the songs. The project also features guest musicians, bass players Scott Ambush (Spyro Gyro) and Terrence Richburg (Richard Smallwood & Vision), drummer Eric Valentine (Jonathan Butler), guitarist Wayne Bruce (Gerald Albright, Will Downing, and Maysa) saxophonist Ron Holloway (Dizzy Gillespie, Sonny Rollins, and Gil Scott-Heron), and guest vocalists Tawatha Agee (Luther Vandross, Dave Matthews Band, and Lenny Kravitz), Keitha Shepherd (Pure Soul), and Lorree K. Slye (Richard Smallwood & Vision). Kim's phenomenal career to date includes her work on Broadway with Taj Mahal in the Langston Hughes and Zora Neale Hurston's production, ?MULE BONE,? where she assisted Taj Mahal in recording the ?MULE BONE? soundtrack. She has performed with such notable artists as Roberta Flack, Stevie Wonder, Brenda Russell, Terri Lynn Carrington, Vanessa Williams and Meshell Ndegeocello. Jazz collaborations include performances at the ?Jackie Robinson Jazz Festival,? along with Dr. Billy Taylor, Lionel Hampton, Wynton Marsalis and Take 6; and with the Fantasy Band with Noel Pointer, Lonnie Liston Smith and Dave Valentine. Other appearances have included the ?Seaport Jazz Concert Series,? with Noel Pointer and Peter Moffett; ?The Congressional Black Caucus' Salute to Women in Jazz;? ?The Women in Jazz Series,? Kennedy Center/D.C. ; The Black Academy of Arts and Letters, Inc. Theatre in Dallas, TX; and at the ?New Orleans Jazz Festival.? Dianne Reeves, Kevin Eubanks, Gerry Gonzales and Billy Childs have all performed her music. She scored the music soundtrack for the Showtime cable network movie, ?Rain,? which premiered in July 2002. She served as National Music Director for the Delta Sigma Theta Sorority, Inc. for their 44th and 45th National Conventions. She has also worked as musical director, composer, producer, arranger and/or vocal coach for a number of Platinum and Grammy Award-winning recording artists and labels, including Pure Soul and Mya on Interscope Records, Dru Hill on Island Black Music, and Terri Dexter on Warner Brothers Records. Kim, a former music teacher for the Washington, D.C. public school system, was named SONY Innovator'S first runner up in 1991. In June of 1996, Kim's publishing company, Kimberlyn Music, received the prestigious ASCAP Music Award for writing and producing one of the top ten songs on Billboard's charts, ?We Must Be In Love,? recorded by the group Pure Soul. 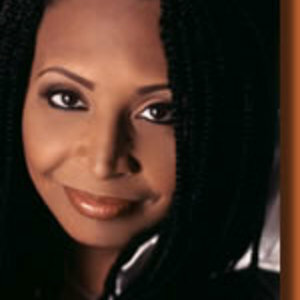 In June 2005, Kim received the Urban Gospel Alliance 2005 Urban Gospel Industry Music Awards for Female Artist and Producer in the gospel-jazz category. On September 30, 2001, Kim was ordained as a Minister of the Gospel at Emmanuel Covenant Church in Hyattsville, MD, where she serves as Minister of Arts and Community Worship. She is a much sought after producer, musician, director, and vocal coach for other record labels and artists, choirs, conferences, seminars and workshops.